Eliminate Process Bottlenecks. Standardize Contract Authoring. Simplify Cross-Departmental Contract Management. Managing Vendors & Contracts Just Got Easier! CobbleStone Education Contract Management Software is trusted by colleges, universities, and school systems. Colleges, universities, and school systems face unique contract management challenges. As the leading contract management platform, we provide a streamlined and automated solution to help you with the difficult task of establishing and maintaining formal business relationships with vendors, suppliers, and providers of goods and services. You need a better way to keep track of price/cost schedules, document management, rebate tracking, and the overall contracting process within your educational institution. CobbleStone Software leverages your processes and provides ease-of-use, smooth transitions, high adoption rates, and rapid time-to-value. Easily bridge the gap between procurement, legal, and contract administrators. With our user-friendly platform, you have a one-stop contract management solution that automates your work while eliminating your stress. CobbleStone makes it easy to track contracts by location, manage vendors and vendor approvals, identify key dates with alerts, collaborate on contracts across multiple departments, and provide document templates to make contract authoring. Public colleges and universities are tasked with finding innovative and cost effective solutions to drive openness, transparency, and accountability for public contracts, records, and documents. With Contract Insight™ FOIA Solutions, your organization will efficiently comply with FOIA regulations by providing the general public with self-serve access to selected government agency or departmental contract information. by the agencies that require a higher degree of compliance. 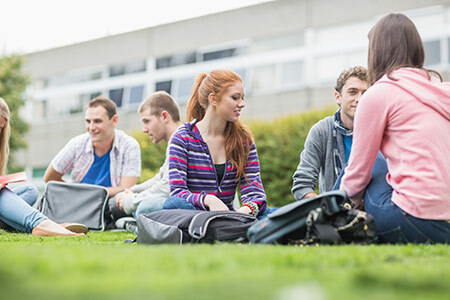 Public colleges and universities can now leverage CobbleStone’s fully customizable Public-Facing Portal that allows your school to provide the general public with access to selected contract data, files, and documents with feature and function rich searching, querying, reporting, exporting, and downloading services to automate and minimize Freedom of Information Act (FOIA) request processing. Contract Insight™ FOIA Solutions also provide adherence to legislated and internal requirements through flexible business process automation and tracking.